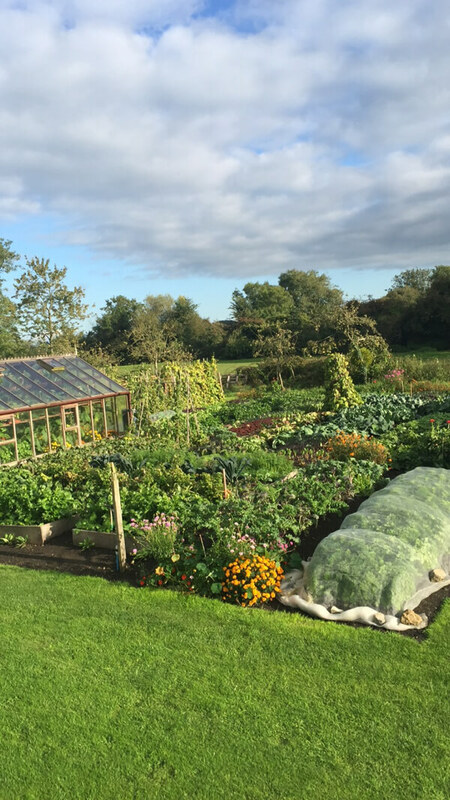 This is the last update for five weeks, as we head into a quiet time for gardening, unless you are making a new garden or clearing ground. I am giving many talks, not least the northern tour Jan 30th – Feb 5th. Tickets are selling fast, I heard that 87 are already sold for the Durham talk on 31st January. Check the talk links to buy tickets. The cold weather looks finished for most of the UK until January. 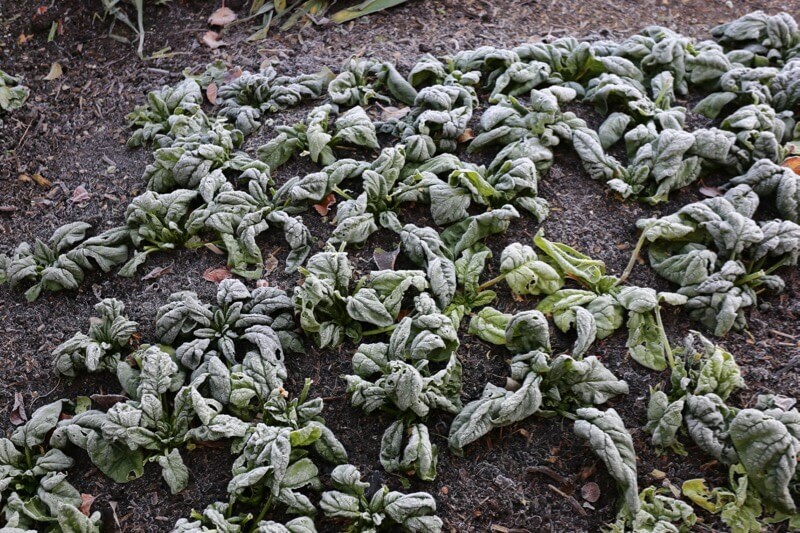 We missed the snow here and had only -5.5C/22F. 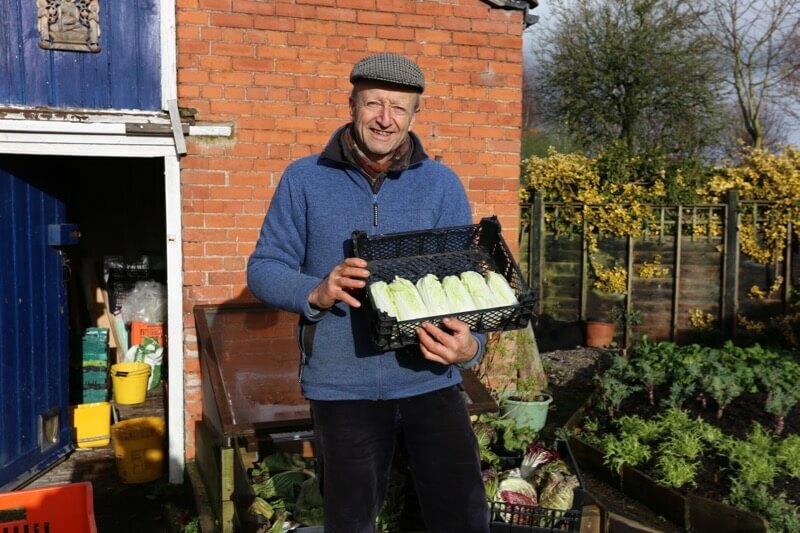 Outdoor veg like spinach, celeriac, leeks etc are fine, while salad undercover is having a good winter so far. We look to have enough for Christmas orders. 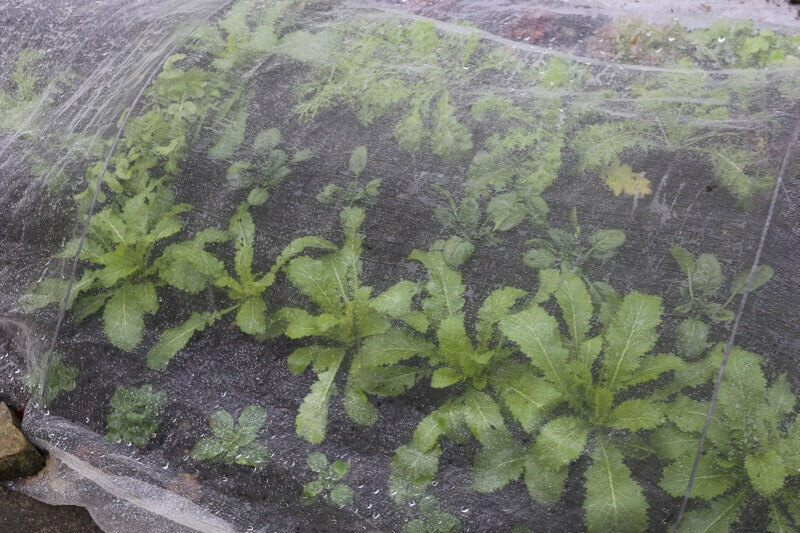 The quality and abundance of outdoor salad leaves takes a dive in midwinter. 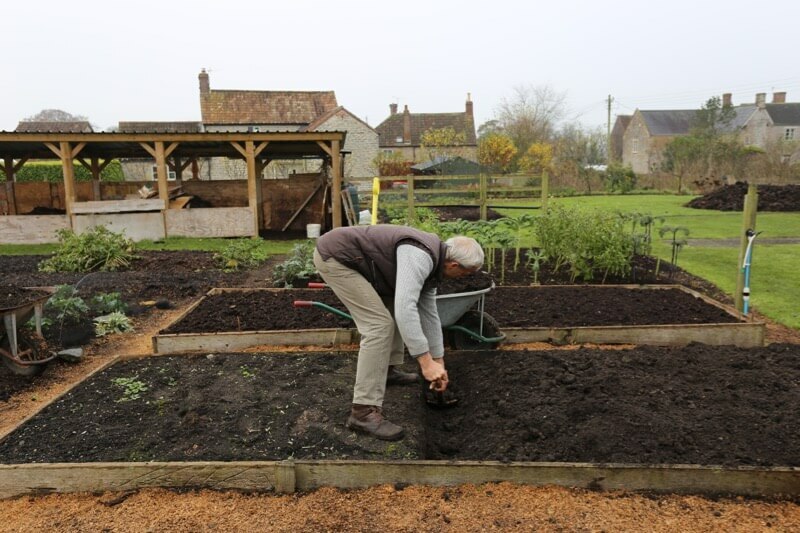 You never know when sowing seed in autumn what the pickings will be, dependent on the weather to come. 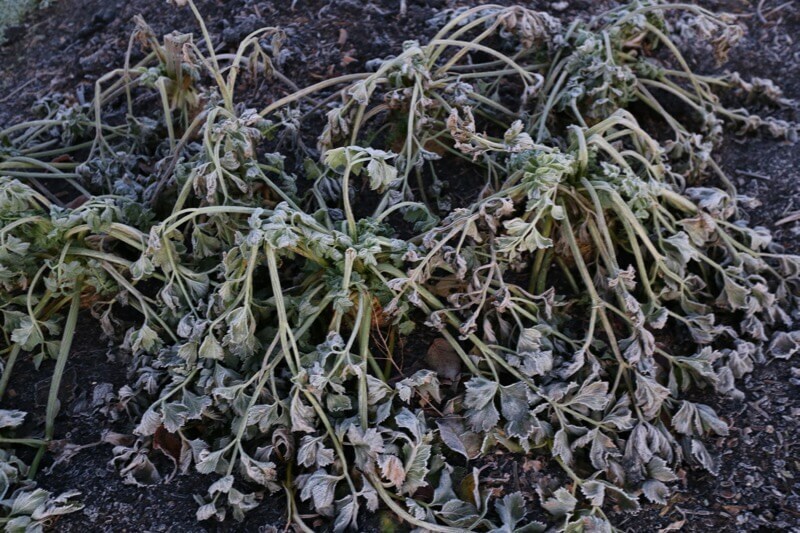 For example salad rocket is a hardy plant, but many of its leaves are of poor quality from December to February. 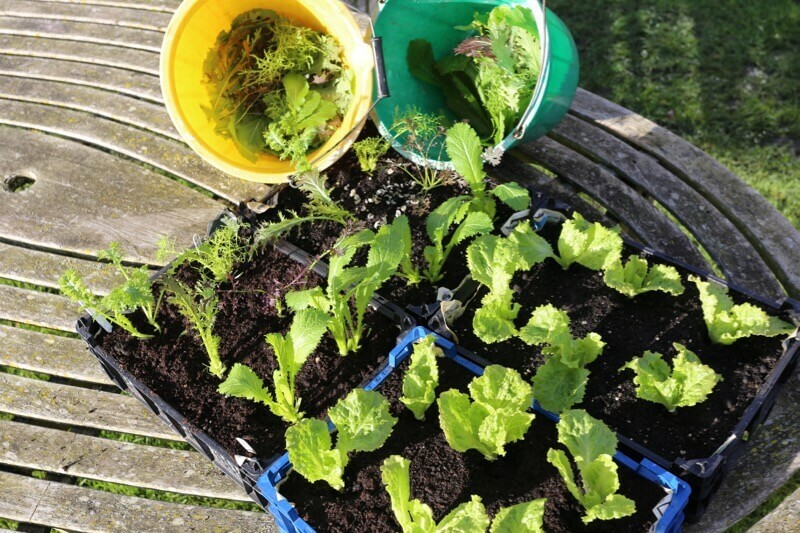 Pick off diseased and rotting leaves to reduce slug numbers and make it easier to pick new growth in March and April. Lajwanti Shahani on You Tube Watering 1.12.17: Q In spite of spreading compost on my raised beds regularly, the soil keeps settling down and shrinking. Is that normal? Thanks. A (Charles) Yes, this is normal. 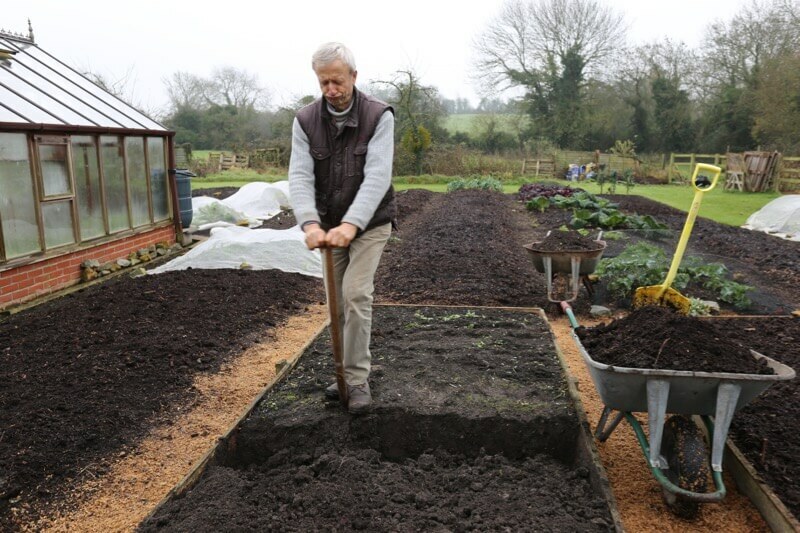 It is good in fact because it allows repeat dressings of compost, to maintain and improve fertility, without your garden rising. Beds that are filled or created with soil only, do not sink like that. 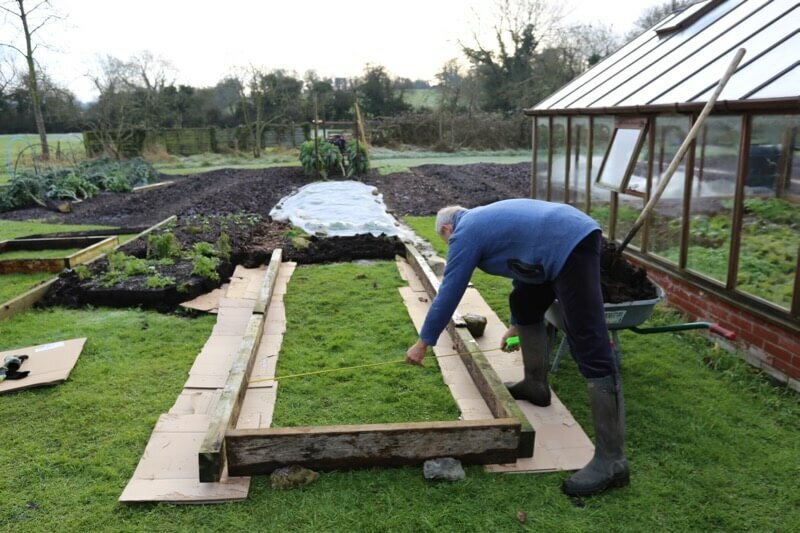 Another aspect is the rising level of my dug bed in the trial, though it slowly sinks before we plant in March. 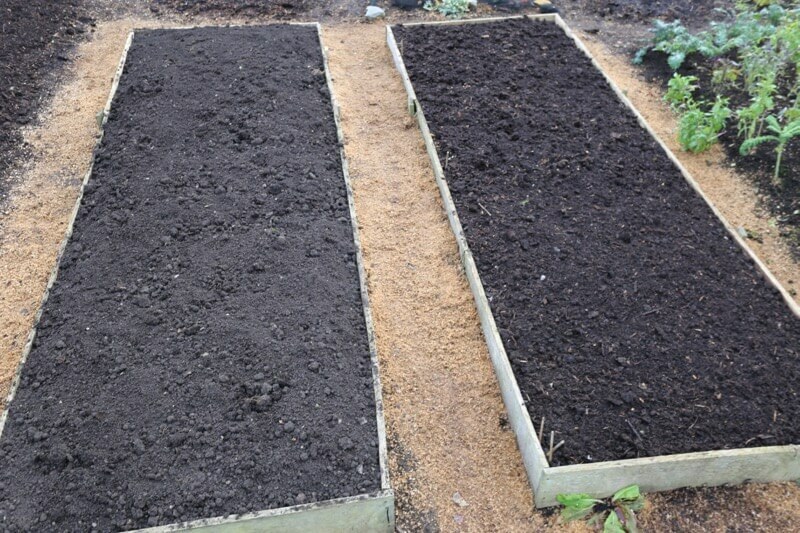 Both beds have the same amount of compost and this year the no dig bed gave more kg of veg for less effort, see the results. The graphics are by a friend Laurence J-K from Falmouth, see below too. 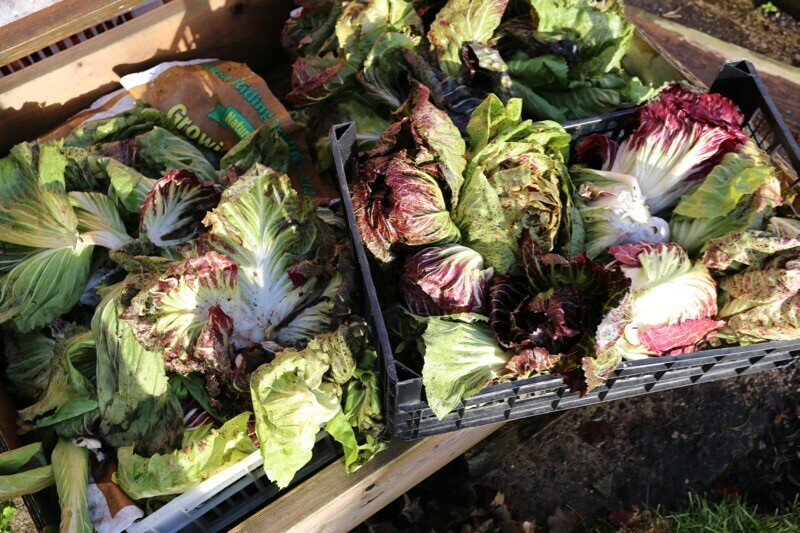 It’s a good year for compost at Homeacres. 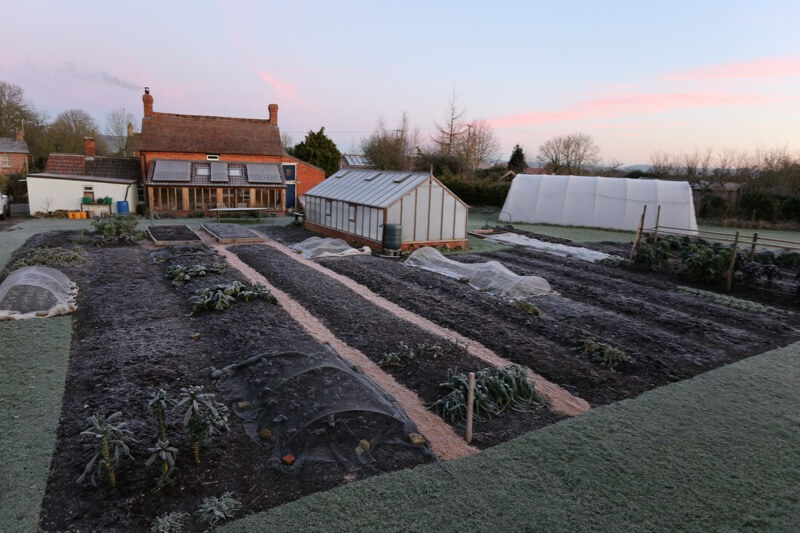 The roof has helped by keeping it drier, on the other hand we are seeing less red worms, which prefer it wetter! I prefer drier. 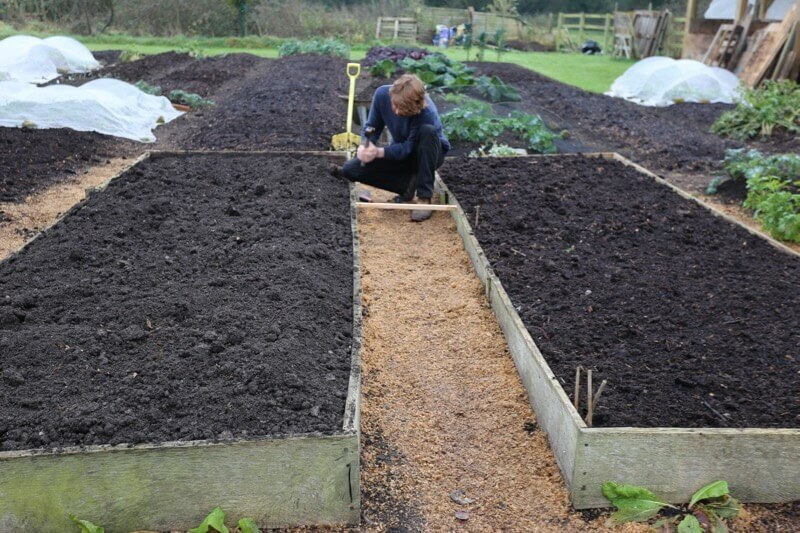 Next May I am running a course here on making compost. 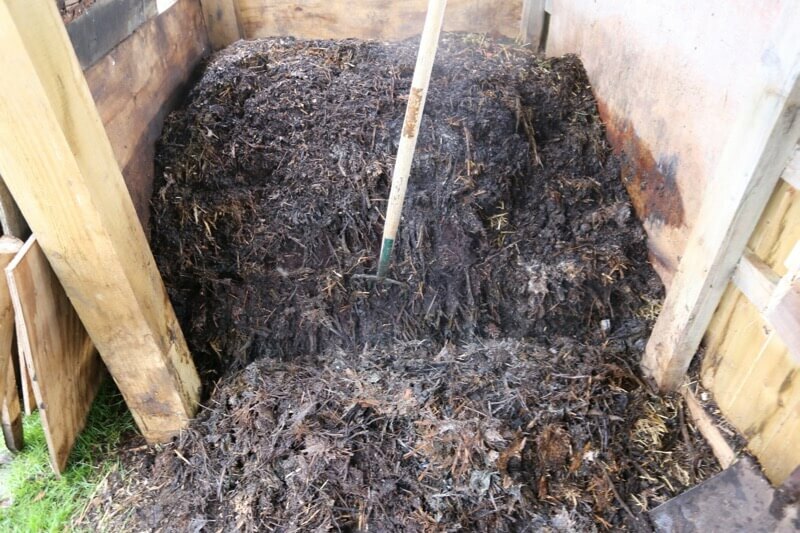 There are examples of compost at all stages, and bought composts for comparison. Steph and I made this and she describes it in her blog, here are some photos too. The ingredients are 70% old cow manure and 30 % homemade compost on top. They are not written in stone all kinds of compost work. the growth year on year, from not rotating veg. 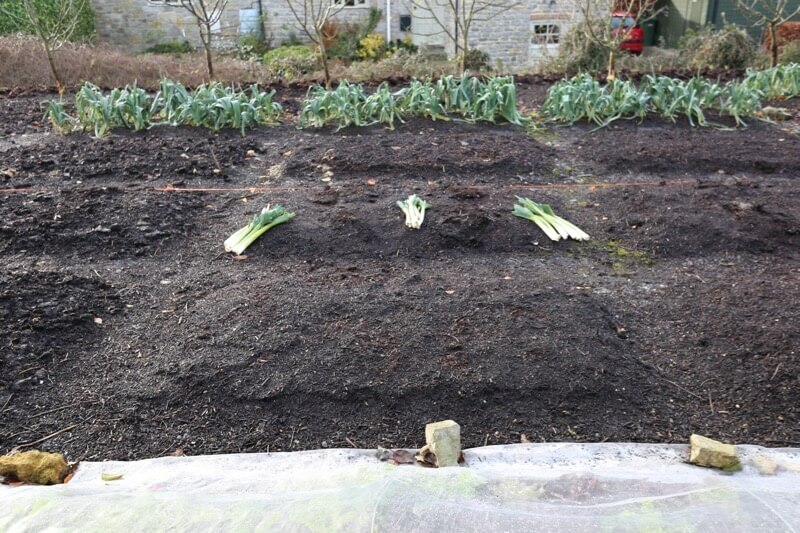 Also looking at some polyculture, the leeks in photo 3 were planted 6th June between cabbage, after broad beans. A selection here for you. I have been answering Q’s on You Tube & elsewhere, here are some answers may help some of you. Do watch my latest No Dig video. Q Regarding the fennel I planted directly into a 13 cm layer of compost not dug in. They seem to lean over and do not grip the soil as the previous ones in dug- in compost where the mix is firmer perhaps. 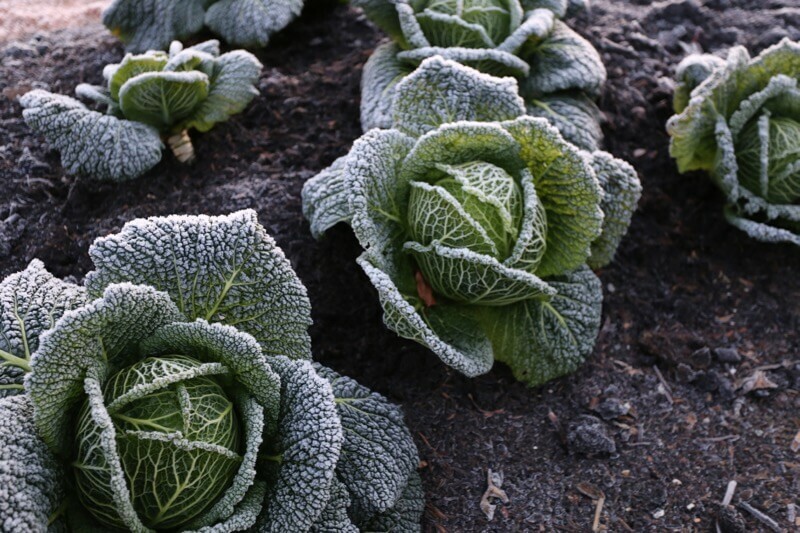 I am in the South of Sardinia where we can grow certain crops throughout the winter too. 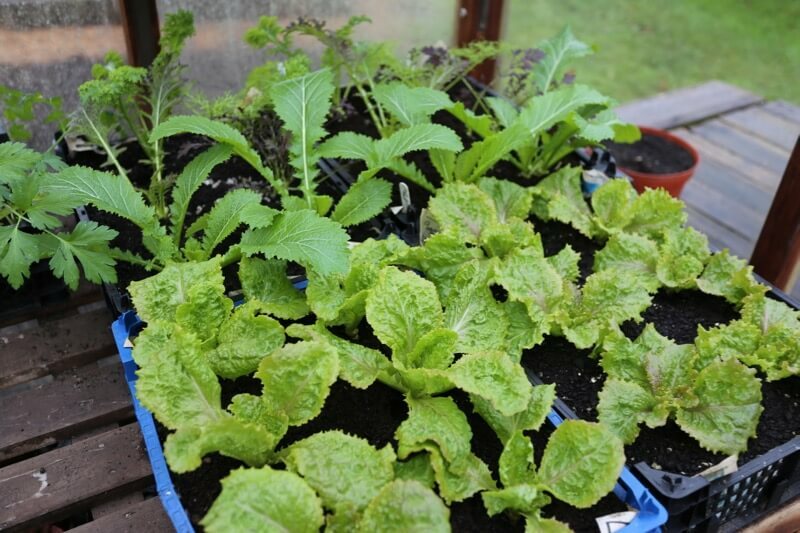 The lettuce has been the most amazing crop ever with continuous picking of external leaves as shown on your video. This has blown the mind of my wife’s relatives. The crop seems never ending. We are still picking the same plants in December which we started in September. A Good news on lettuce! On fennel, I reckon you planted them too shallow. 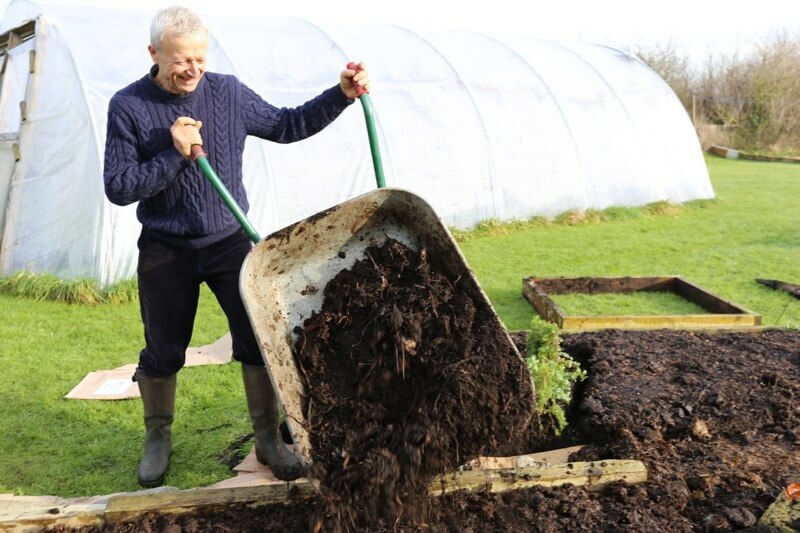 Compost is softer than soil for sure and I always plant & recommend planting deep with stems all in the compost. You could pull compost around the current batch. Hope the season is wrapping up nicely for you. I’ve just harvested the yacon tubers I got from real seeds back in May. There has been interesting variations in colour of tubers from the same plants. Some are reddish and but mainly they are potato coloured. Thinking back to your course in April the yacons we all tasted were a lot sweeter than the ones I have grown. I wonder if it’s because they had been stored longer? A The deeper yacon tubers are pale, ones nearer surface and daylight are darker in my experience. Q. of light only. And yes they are currently not sweet, best leave them on say a sunny windowsill for a week, as that sweetens them, same as for oca. I am in South Florida with similar weather and soil I’m guess. If I had known about building my soil through mulching when I started gardening I would have saved several thousands of dollars. A . 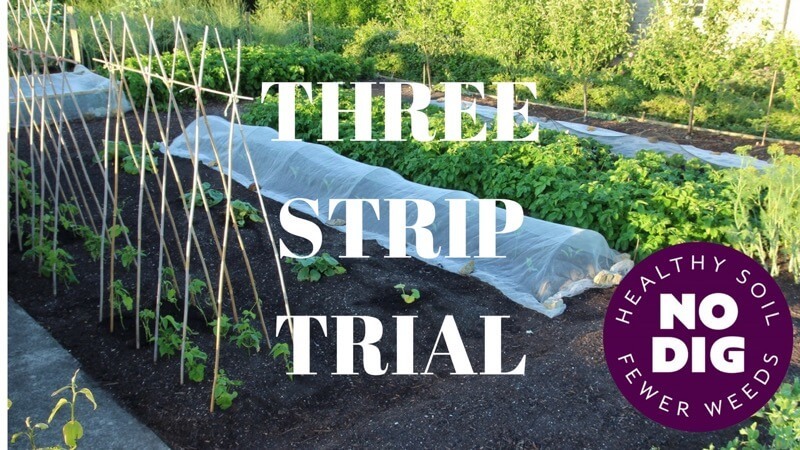 A 2in/5cm layer is for maximum yield including double cropping. 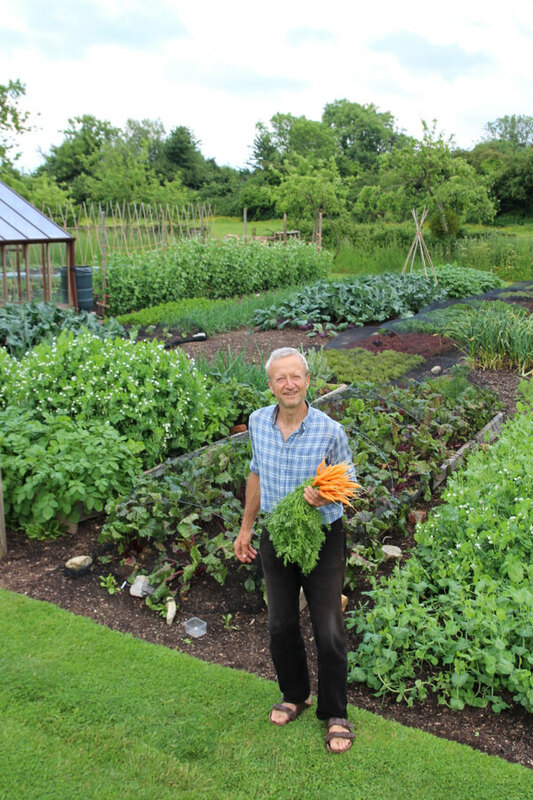 Yields are high compared to digging and using less compost, so I would crop half the allotment like this and sow long term green manure on the other half, say alfalfa or red clover. 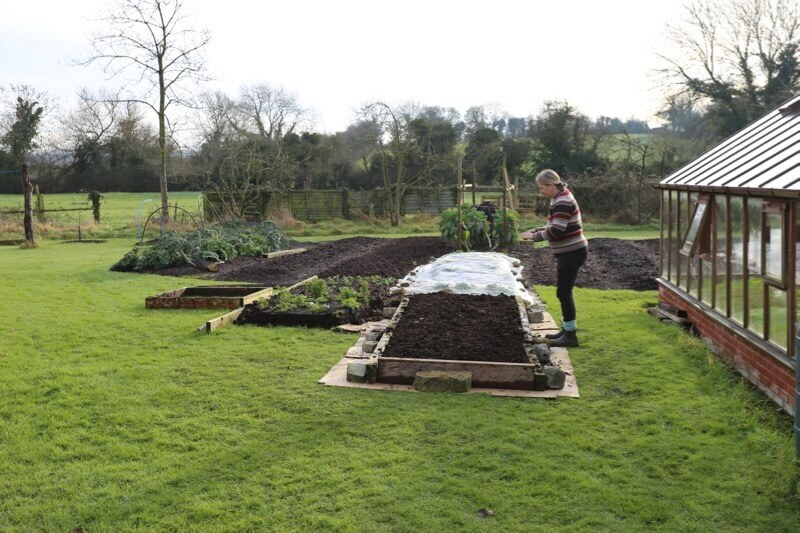 For the time it will save you weeding, it’s worth buying some compost. Few of us have time and materials to make enough for a large area. Or find some old animal manure nearby. 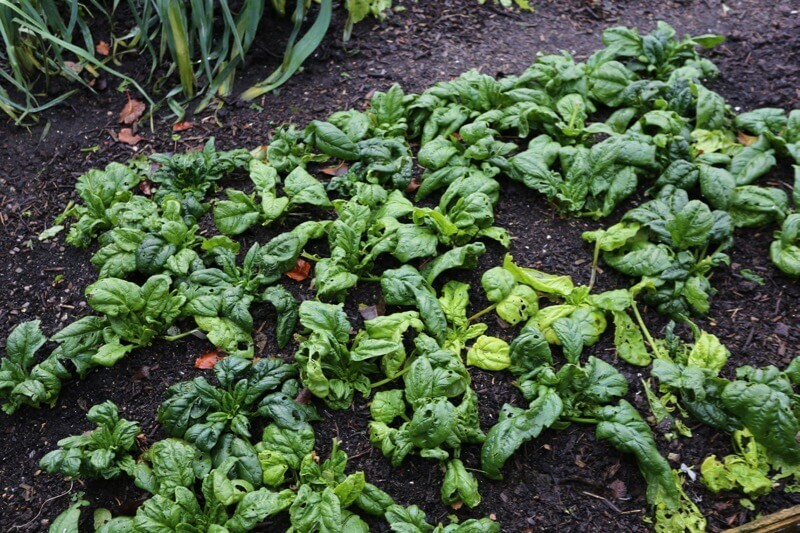 Mulching undisturbed soil does not kill perennial weeds but it slows their growth and when you mulch enough, say with cardboard first then compost over, you are on the way to eliminating couch grass, while growing crops in the surface compost. 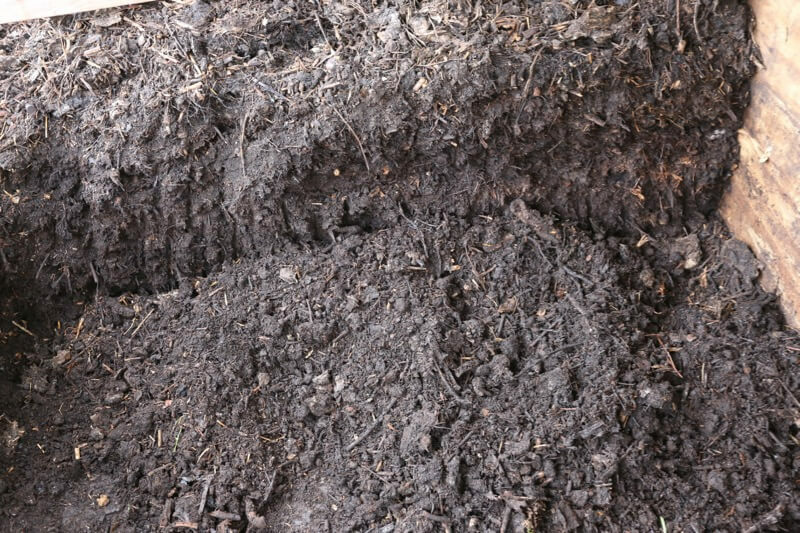 Q Is no dig possible if you have a large tree or trees invading your garden beds? A. Trees root horizontally over long distances, often longer than is realised. This is most noticeable in dry summers when they grab water before plants with smaller root systems, so it is difficult to succeed with veg close to trees. 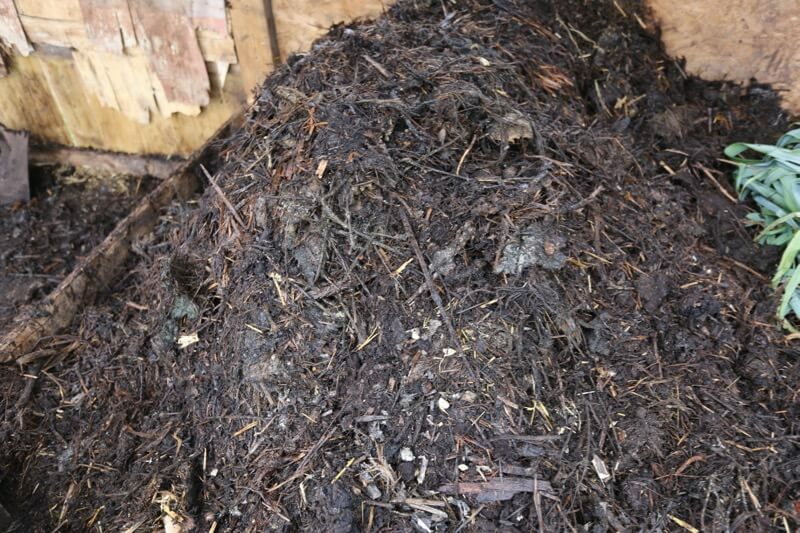 Especially the most shallow rooters plus fast growers, such as ash, maple and poplar. Shade is another factor, though less critical, Horse chestnut and walnut make dense, dark canopies. 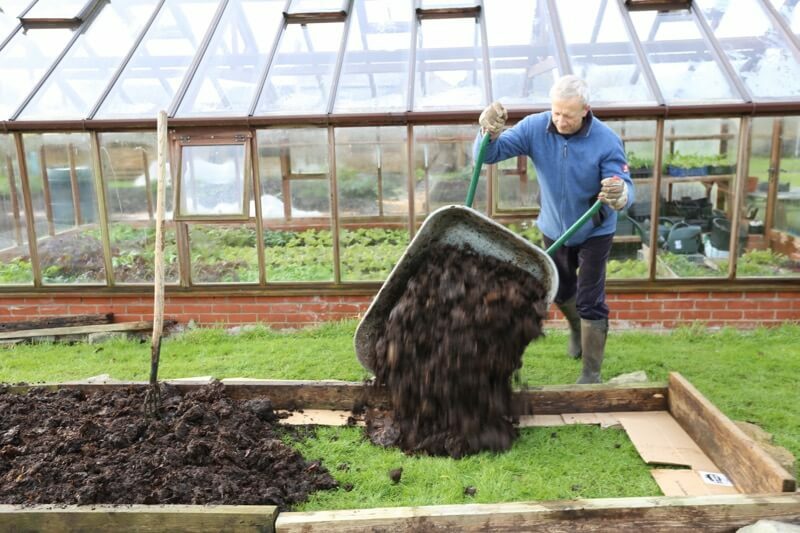 Digging out surface roots will help growth of nearby plants, or cut a line into the soil along the tree edge. But results are unlikely to be brilliant when the rooting system is in your beds. Beautiful pictures of your garden. Just a video idea for you perhaps in the future: I’d love to see how you organize your seeds. I have to believe there is some structure to this aspect of your planning, simply due to how nice and tidy your garden is. 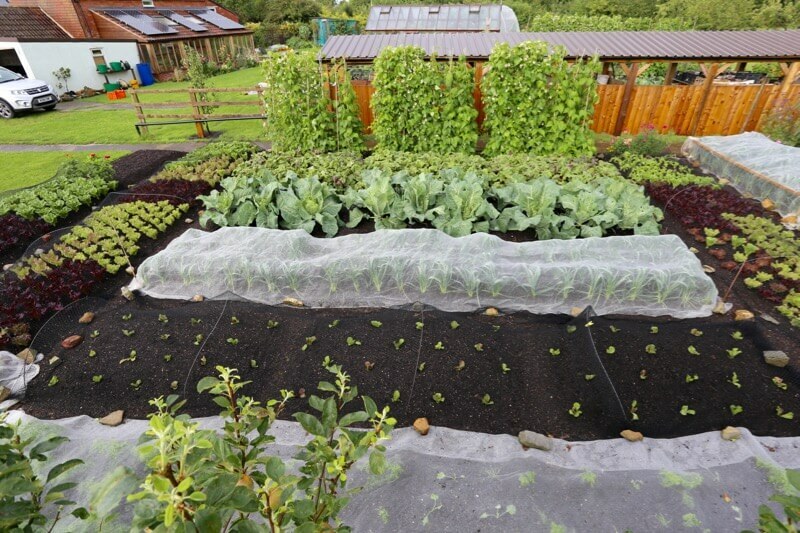 With the variety of plants and cultivars you grow, I imagine you have a very large seed collection. Would love to see how it’s organized! Crop on!